The record is made up of 2 folios. It was created in May 1879. It was written in English. The original is part of the British Library: India Office The department of the British Government to which the Government of India reported between 1858 and 1947. The successor to the Court of Directors. Records and Private Papers. Letter informing Pelly that had he realised accusations had been made against Pelly he would have 'obtained the Duke's disavowal in the house', and commenting that the reason that no one has answered the statements made in the Duke's book is that no one has read it. He also returns the papers Pelly had sent him. 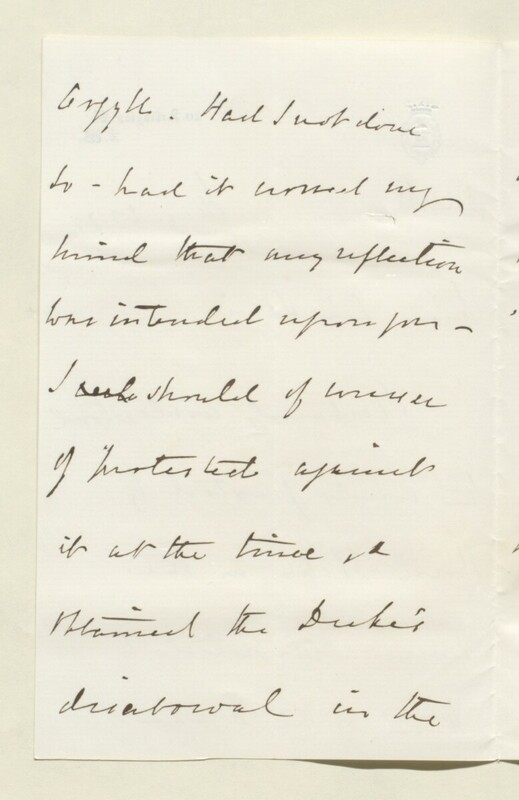 The letter appears to be dated 22 May, but as Pelly's first letter to Lord Salisbury on the matter is dated 23 May this date seems unlikely.